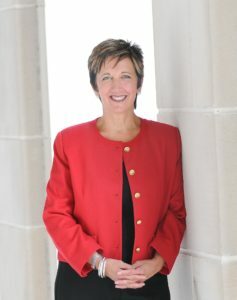 LINCOLN – District 28 Senator Patty Pansing Brooks announced her candidacy today for a second term to the Nebraska Legislature, highlighting her record of accomplishments and her agenda for the future. Other legislative highlights are in the areas of Whiteclay, women’s health, juvenile justice reform, climate change, children’s reading, financial protections for college students and funding for teachers seeking degrees in high priority and high needs areas including special education and early childhood education. Senator Pansing Brooks also successfully fought cuts to teacher retirement benefits, women’s health clinics and probation services and led the LR34 Department of Corrections Special Investigative Committee which identified problems in our corrections systems and recommendations for moving forward. Senator Pansing Brooks said she looks forward to building on the successes of her first term. “Many critical issues lie ahead for us in the coming years, including corrections reform, meaningful tax reform, protection of our precious natural resources and environment, support for education and critical education funding, preservation and advancement of civil liberties for all, workforce development and economic growth with quality 21st century jobs, to name a few,” Senator Pansing Brooks said. “These challenging issues will continue to require both leadership and the bipartisan support of our elected officials.